We are humbled to receive the Sunshine Blogger Awards from EazyNazy and Maria Athanasopoulou. EazyNazy shares her experiences on travel, food, shopping, activities, beauty, luxury and anything else which comes on her way. Maria Athanasopoulou writes interesting articles and takes photographs from the places she visits, since 2009. She likes exploring new places and new cultures. Our website is new and being recognized by two renowned women is heart-melting. Your recognitions via the Sunshine Blogger Award really means a lot to us. Thank you, ladies! 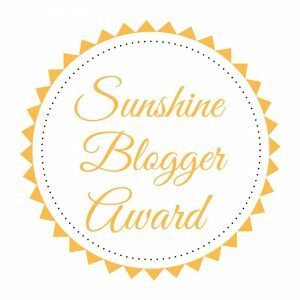 The Sunshine Blogger Award is an award given to bloggers by other bloggers who “are positive and creatively inspire others in the blogosphere”. 1. What’s your story behind your Blog name? Carmen: We are the Wellington family and we’ve been traveling the world since 2009. Thus, we named our blog/website ‘Wellington World Travels’. 2. What is the most delicious food you have ever eaten? 3. Any sayings or quote that you live by? 4. Online shopping or In-store shopping? Carmen: I guess, it depends on what you are buying. If it’s grocery items, we do in-store shopping. For other items, we do online shopping especially on clothes (provided we don’t need them right away). 5. What is the one thing (not a person) you can’t live without? 6. What is your one favorite beauty essential? Carmen: I am not big on makeup. However, I always put on lipstick. I don’t go out without it because my lips are so pale. 7. If you had a chance to buy whatever you wanted for free from one high-end store, which store would it be? Carmen: When it comes to clothing, I am not into high-end stores. So I will just buy all the latest and the greatest technology and gadgets! Carmen: So far, my favorite blog post I have written is ‘Milestone: 14 Europe Countries I’ve visited in 7 Years‘. I have published this on my birthday as I remember the countries I have visited in Europe in my 7 years of traveling. Carmen: My goals are to pass my NCLEX-RN Board Exam, and then find a job as soon as my son starts Nursery. 10. What do you love about Blogging? Carmen: What I love about blogging is I get to express and share my thoughts and experiences with others. I also learn from other bloggers when they guest post or participate in my Expat Life interview series on my website. Carmen: I don’t have a favorite blogger. However, blogs of Aileen Adalid inspired me to start blogging and get to know more destinations. 1. 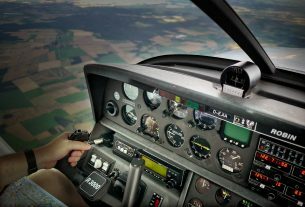 How did you begin your blog? 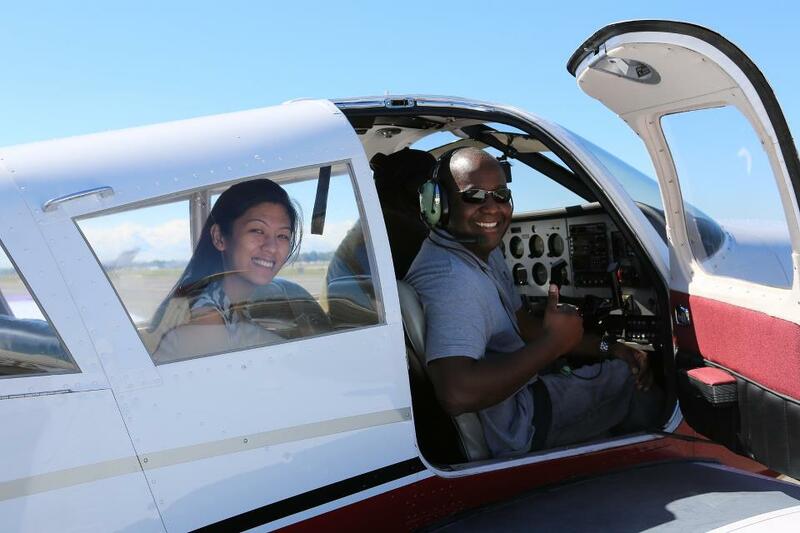 Carmen: We originally started the website as a way to share our world travels and family adventures to our families and friends, especially to those who are not on Facebook. That’s why most of our posts are just photos. Like you are on Facebook and just browsing through photos. Then, later on, we decided to make it a business. We wanted others to see the world through our eyes and also inspire them to travel more. 2. 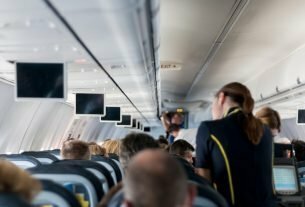 Why did you choose to create a travel blog? Carmen: We have been traveling around the world since 2009, and it’s the topic where we are most knowledgeable at. 3. What is better, to take photos or videos? Carmen: It’s better to take photos. 4. What time do you prefer to write and upload your posts? Carmen: I prefer to write as soon as my son fell asleep at night. I upload or publish my posts in the morning of Mondays, Wednesdays, and Fridays. 5. What is your best trip? Carmen: I have been to 6 out of 7 continents. 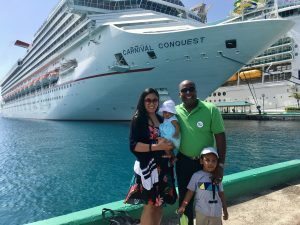 However, the best trip for me is our first family cruise. Earlier this year, we went on a 7-day Caribbean Cruise with Norwegian Cruise Line. It was an amazing experience, especially because I was sharing that moment with my husband and son. 6. What is your worst trip? Carmen: I have been thinking of my answer to this question for several days. And honestly speaking, I couldn’t think of worst trip. I try my best to enjoy it whether I am traveling alone, with Handel or with my son. 7. What is your favorite beach? Carmen: It’s hard to choose! We like the beaches in the Maldives. They are beautiful and exotic. 8. What is your favorite mountain? Carmen: I am not a hiking fan. And I have never climbed or trekked a mountain. So I don’t have a favorite mountain. 9. In which country do you want to travel often and why? Carmen: JAPAN! It’s my favorite country and I will never get tired of seeing that place. I love everything about Japan – the culture, people, animation, language, traditional dress, food. 10. What kind of tours do you prefer? Carmen: We prefer DIY tours. If I am traveling alone, I don’t mind doing guided tours. But having a child, I like flexibility and freedom. 11. How many hours per week do you devote to your blog – writing? Carmen: Since we post 2-3 times per week, I devote at least 15 hours a week to our blog writing. 1. Where was your first ever trip abroad? 3. Have you lived abroad for at least 6 months? If yes, where? If no, where would you choose to live? 4. Where is the most luxurious place you’ve been? 5. Is there anywhere you could go back to again and again and never get bored of? Where? 6. Have you ever been to a famous travel destination and been disappointed? Which place was that? 7. If you could travel anywhere right now, where would it be? 8. Do you prefer sunrise or sunset? 9. What do you collect from your travels – besides memories? 10. Do you think traveling can make a difference? How? 11. If you could start another blog, what would the topic be? When you’ve posted your answers, I’d love to read them. Please leave a link in the comment below and tag me on social media. 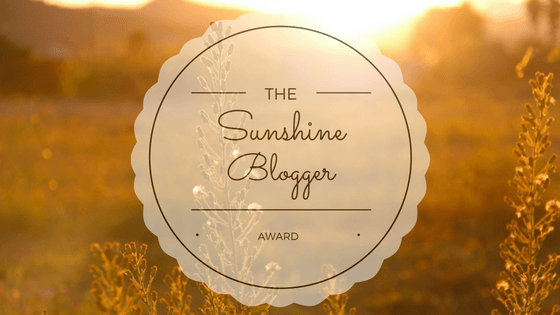 Thanks again to EazyNazy and Maria Athanasopoulou for nominating me for the Sunshine Blogger Award! Im working on my post, can I use these graphics (the two at the top) in my post? super excited to be nominated! Thank you! I do love your site and cant wait to read more! Thanks! I am working on my post!